The top Swiss manufacture, owned and managed by the Stern family during four generations in Plan-les-Ouates, Geneva. Their beautifully hand finished movements and limited editions are the most searched for by watch enthusiasts around the world. Manufacture of the famous "El Primero" automatic chronograph movement also well known for its pilot models and elegant classical pieces all with their own movements. Manufacture of the cricket mechanical alarm watch, known as the President's Watch as each new U.S. President receives one as a gift when he is sworn in. A unique movement appreciated by watch enthusiasts. Excellence, creativity and independence best describe this watchmaker. 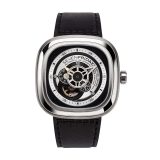 François-Paul Journe produces watches constructed within an ideal circular space, whose dials and movements echo each other in perfect harmony. The fifth and sixth generation of watchmakers are keeping alive tradition and love for fine timepieces of minimalistic design. Nomos is the largest producer of mechanical watches that are "Made in Germany"- in Glashütte. Manufacture of 100% swiss made watches which has recently been relaunched by the Kering group. The brand owns 80 patents in watch making and was the first to deliver a major commercial production of wrist watches in 1880. The brand is known for high acuracy craftmenship time pieces, as well their Marine collection. Ulysse Nardin produced the most complicated watch in the world, the Astrolabium. A small but fast growing brand with a very good quality-price range of classic watches. They were the first classic watch brand to make a smart watch. The design is based on the "Cuervo & Sobrinos" famous store in La Habana, Cuba at the beginning of the 20th Century. Their "retro" designs and the cigar humidifying boxes for the watches are a great success. Junghans was the largest watch and clock producer before the first world war. The Max Bill design from the Bauhaus architect has been popular for the last 30 years and is still found to be very attractive in its simplicity. A prestigious watch brand. We have had it since the beginning and its classic models are always popular. A small American watch company based on the original clocks used on the first American trains. FORTIS still today offers the “B-42 Cosmonauts” model which is the watch with the most hours not only in space but also in open space. It has been worn on EVA (Extra-Vehicular Activity) missions. Still today the Russian Cosmonauts do wear the Official Cosmonauts as their standard space equipment. Oris is a small independent Swiss company famous for its sporty watches with rubber straps and its unique red rotor that one can see through the sapphire back of the watch. 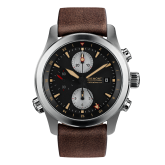 We discovered Bremont's attractive classic, sporty watches at the Basel fair in 2014. This new British manufacture has managed to find partners like Boeing, Jaguar and The America's Cup. Their first square Bell & Ross watches designed on the flight deck clocks shook the watch industry and their vintage models have become a classic. A fun watch with a lower price range, based on the Khaki range which was used by the U.S. solders in the second world war, the design carries on and is still popular. Our classical sports watch. TAG Heuer has been with us since the beginning with its famous Formula 1 in many different colours; a rage in Spain in the nineties. Today they are making their own movements but still cater for the younger clients who look for a prestigious sports watch. 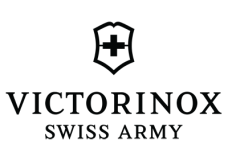 Since 1989 the famous Swiss military brand produces pocket knives and sporty watches. Each watch pases a quality control of 100 levels. It is the 4 wheel drive amongst watches. resistant, and excellent night visibility. Mondaine is a genuine Swiss company that makes the clocks for all the Swiss railway stations. They now make a wristwatch with the same dial at a very reasonable price. "Live every day as if it were Friday" is the brands message. Its original design is inspired in industrial machinery.